Video reviews drive customer engagement. As brands seek to engage their target audience, they are more and more likely to utilize video technology to do so. Numbers don’t lie and the fact is that billions of videos are watched every day on a single social media channel. 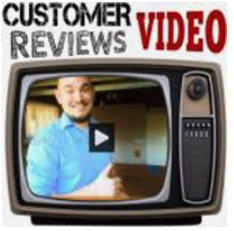 Consumers highly prefer watching video reviews to reading reviews for a product or service. It’s also true that they are highly likely to follow advice given in a video over the advice given in a written review. Not only do video reviews increase the likelihood that advice will be received, it actually impacts their purchasing power. This is further impacted by the fact that smart phones have become such a certain part of society. The ability to play or share a video at any given time in any given location only further increases the impact of video reviews. Research also shows that videos are far more likely to be shared or retweeted than photos alone, and certainly more than written words on a post. In fact video reviews drive customer engagement, if you want something to go viral and exponentially increase its reach, a video is the surest way to accomplish this. Video reviews drive customer engagement when widely shared, it builds the brand in a way a simple photo cannot. If it’s a particularly dynamic or compelling video, consumers not only share it, but also they talk about it. It becomes a touch point of modern conversation. Video reviews that are highly shareable are often two minutes or less in length. Anybody has two minutes to spare, so they’re more likely to watch a video of this length to begin with. When it comes to increasing the chances of consumer engagement, it’s also important to make the first ten seconds particularly appealing or charming. If the dialogue is too expositional or boring, chances are, the consumer will click away before listening to the rest of the video review. The wide use of smart phones also makes creating video reviews far more possible than it was in the past. Not only is it possible, it’s cheap. Gone are the days of expensive video equipment, not to mention pricey editing software. Today, anyone with a phone and a free or nearly free app can shoot and edit a high quality video review. As businesses and even non-profits recognize the growing need to engage with their customers and interested parties via video, customers will respond in kind. This is why it’s important for all companies or service providers to fully embrace this particular growing model of consumer engagement. Consumers will always move toward what is fast, what is simple, what is trustworthy, and what is cheap. The world of video reviews checks all these boxes. Hop on board this growing trend and watch as your consumer relationships grow and expand, and your business booms.